Ho Chi Minh City is the economic center of Vietnam. Until the reunification of North and South Vietnam in April 1975 the city's name was Saigon. The Communist government of Hanoi renamed it in honour of Ho Chi Minh, the leader of the Communist forces during the Vietnam War. But the inhabitants of the city have never quite gotten accustomed to the new name and thus still prefer the old name,Saigon. This was the city I was most excited about visiting and unfortunately was the most disappointing. We went on a Colonial Excursion and our tour guide was not good, as he was very disinterested in talking about the city and walked way too fast and could have lost some of the guests if we did not look out for each other. 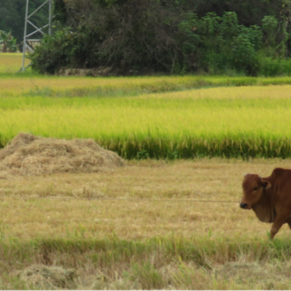 We took another excursion to the Mekong Delta and that was outstanding. Our tour guides were Minh and Kim and they were incredible. Tip - with Azamara being a smaller ship, it is able to dock right at the main pier in Ho Chi Minh City, whereas the larger ships cannot navigate the river to get to the city. Just a helpful tip for those thinking they might get to the city on a larger ocean liner. Take into account I was Vietnam war vet. My second cruise visit to Saigon (HCMC). Smaller ship was supposed to dock in central city, but river navigation issues forced us to use port where larger ships dock, a 90-minute drive from the city (the bus ride provides fascinating views of different rural and suburban areas). 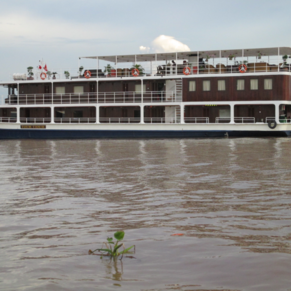 On the first day I enjoyed full-day excursion to country towns outside Saigon and a river cruise to the Mekong Delta. On the second day Oceania provided shuttle bus service to central Saigon (fee required), which allowed me five hours to explore the city on my own—my idea of a perfect touring day. Did a tour of temples, Independence House, Post Office and more. Another great tour. The country is really dirty with rubbish. A lot of smog too. 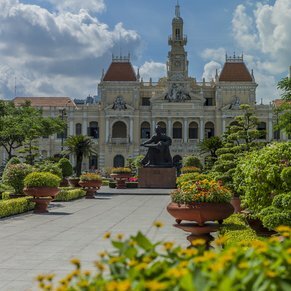 3 of 8 shore excursions in Ho Chi Minh City (Saigon), Vietnam. 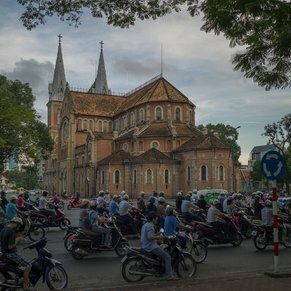 There are currently 0 discussions about Ho Chi Minh City (Saigon), Vietnam.